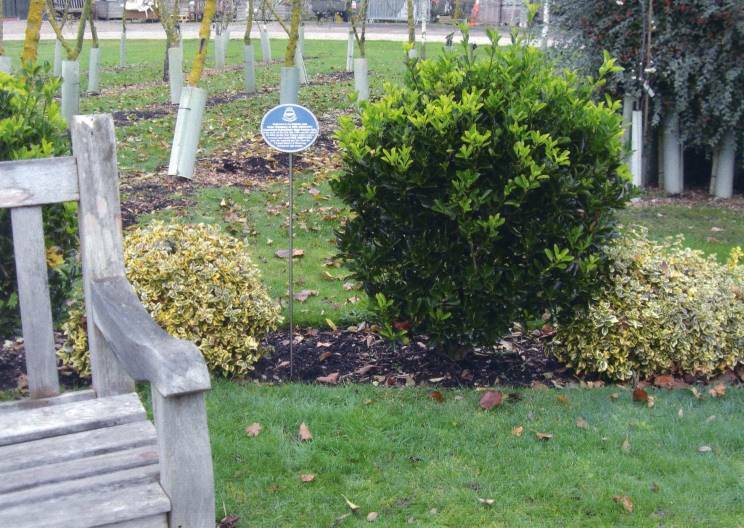 A plaque dedicated to HMS Concord at the National Memorial Arboretum in Alrewas, Staffordshire, England. 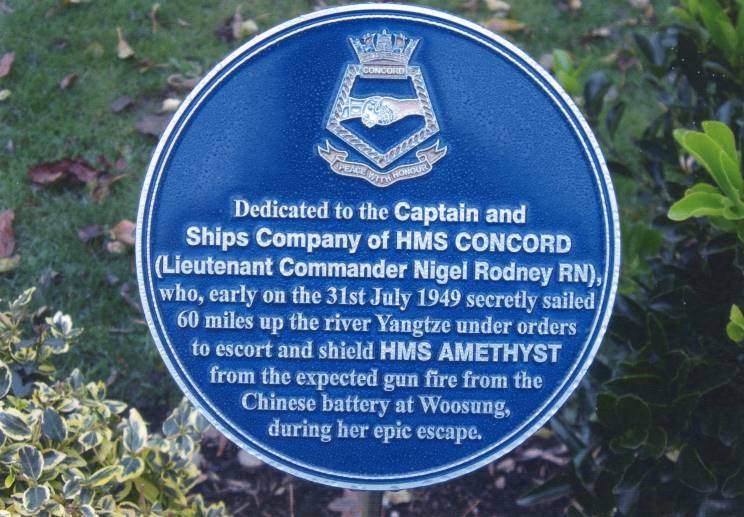 The plaque was raised by the men of the HMS Concord Association in recognition of their actions of July 31, 1949 during the Yangtze Incident. HMS Concord, contrary to all reports of the time, was ordered to sail 60 miles into Chinese waters to assist HMS Amethyst in her escape. Because of tensions with the Communist Chinese Concord's voyage was not officially recognized as the British government did not want to further provoke the Chinese. It was an embarrassment to the Chinese that Amethyst escaped right under their noses, but to have another British warship penetrate that far up the Yangtze and return without being challenged must have caused a terrible loss of face. The British government must have been concerned about what actions the Chinese might take if it was officially stated that Concord had indeed made her way up the Yangtze and escorted Amethyst to open water. Because of the nature of politics, even so many years later, the men of HMS Concord have been denied the Yangtze clasp for the Naval General Service Medal . The fight to have them awarded the clasp continues to this day. Overview of the HMS Concord plaque.